Earliest existing recordings of Matthew and Inge, before they discovered the saz and mandolin. Largely-improvised guitar duets. Very lo-fi, and quite wobbly playing, but still pervaded by a certain magic. 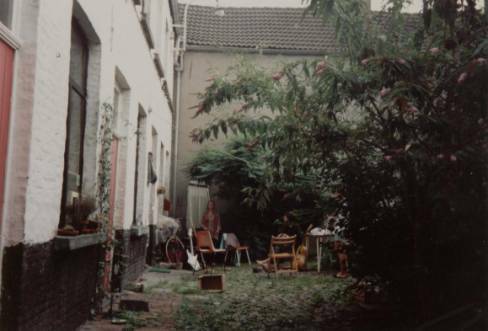 This was all recorded in 1994 when we were living in the Overpoort cite, Ghent. Recorded on a variety of terrible cassette recorders with the worst microphones you can imagine. Some attempt has been made to improve the sound, but it's still very lo-fi.